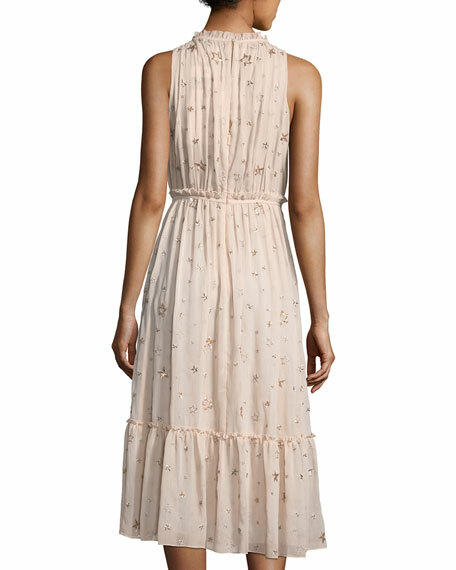 kate spade new york "amanda" cocktail dress with metallic star appliques. High neckline with ruffled trim. Banded waist with ruffled trim. For in-store inquiries, use sku #2368826.